Ultrasounds and Autism: Is there a connection? During both of my pregnancies, I never had an ultrasound. My midwives and I did not see the need. I also do not have a son with autism, although he has special needs. I wrote about our reasons three years ago in a post titled “To Ultrasound or Not to Ultrasound: Reasons Vs. Risks“. One of the risks mentioned in the post was from a 2006 Yale University study on ultrasounds performed on pregnant mice that found, “The brains of the offspring showed damage consistent with that found in the brains of people with autism.” This idea that autism and ultrasounds may be linked is not new, but it has gained some attention lately. Casanova’s hypothesis: Prolonged or inappropriate ultrasound exposure may actually trigger these cells to divide, migrate, and form too many minicolumns. They divide when they’re not supposed to and there are no inhibitory cells to contain them. There are more neurologically damaged children in the United States today than ever before. As of 2007, 5.4 million children (the entire population of Finland) have been diagnosed with attention disorders, and today one in every eighty-eight children in America has been diagnosed with an autism spectrum disorder. Japan, Norway, Iceland, Denmark, Australia, France, Germany, Canada, and the United States are among the industrialized nations that are seeing a huge, troubling, and seemingly inexplicable rise in the numbers of autistic children. These countries are geographically and culturally different. Their vaccine schedules are different. The labor and delivery experience is also different: In Scandinavian countries and Japan many more pregnant women tend to choose unmedicated vaginal births. But all these countries do have one thing in common: the vast majority of pregnant women are getting regular prenatal care and being exposed to ultrasound in the form of anatomy scans and fetal-heart monitoring. In countries with nationalized health care, where virtually every pregnant woman is exposed to multiple ultrasounds, autism rates are even higher than in the United States. 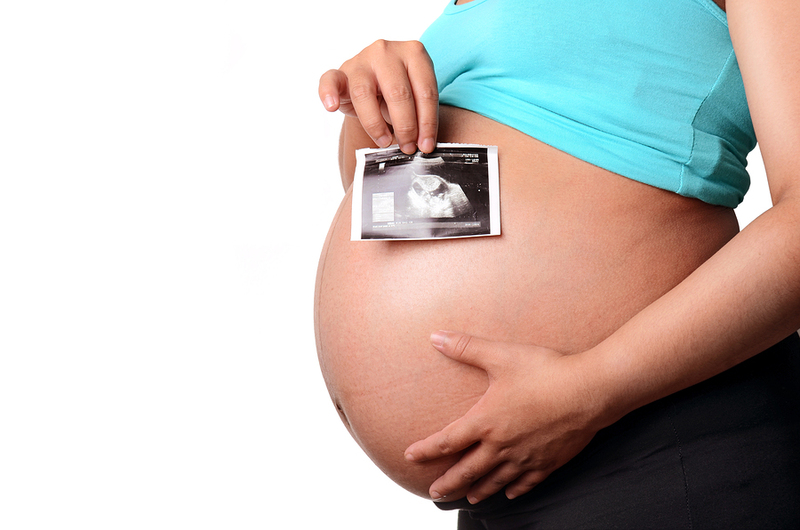 The ultrasounds done on pregnant women today use sound waves with eight times the intensity used before 1991. This time period roughly coincides with the alarming increase in the incidence of autism within our population. Even more disturbing, the majority of technicians using ultrasound machines (as many as 96 percent) do not understand the safety margins they must adhere to in order to make sure the fetus is not exposed to harm. If those statistics are correct, then the theory seems logical that there is a connection. Just because there is no published peer-reviewed evidence does not make it untrue, nor does it deny the fact that their may be some sort of relationship, especially if you consider epigenetics. It may not be a clear cut cause-effect relationship, but it appears something is going on. First, researchers were not able to identify ultrasound exposure to the fetus (this is call “dose”). It is possible that the amount of ultrasound exposure may make a difference and increase the risk of the fetus having ASD. Second, while the ASD diagnoses were written in the medical record there was not good information about who made the diagnosis and what clinical information was used. The medical record data did not say if the ASD was mild or severe. This might also be important to study in the future. Also, this study is rather old, especially considering the increase in ASD rates in recent years. In 2006, Midwifery Today reported on the increase of temperature and sound caused by ultrasounds in utero and how that might be affecting neural development. 9. Rados, Carol. 2004. FDA Cautions Against Ultrasound “Keepsake” Images. FDA Consumer Magazine . www.fda.gov/fdac/features/2004/104_images.html. Accessed 11 Sep 2005. 10. Samuel, Eugenie. 2001. Fetuses can hear ultrasound examinations. New Scientist .www.newscientist.com/article/dn1639-fetuses-can-hear-ultrasound-examinations-.html. Accessed 11 May 2006. 11. Miller, M.W., et al. 2002. Hyperthermic teratogenicity, thermal dose and diagnostic ultrasound during pregnancy: implications of new standards on tissue heating. Int J Hyperthermia 18(5): 361–84. 13. Graham, Jr., M., M.J. Edwards and M.J. Edwards. 1998. Teratogen Update: Gestational Effects of Maternal Hyperthermia Due to Febrile Illnesses and Resultant Patterns of Defects in Humans. Teratology 58: 209–21. Heating and vibration might also affect a fetus. Ultrasound will heat water, and the operation of ultrasonic cleaning systems is familiar to many of us. Either of those processes might affect fetal development adversely…. When ultrasound was first developed the tools were carefully calibrated, and operators received special training. The process was used sparingly, mostly late in the pregnancy. Furthermore, not everyone received ultrasound at all. Today, the test is almost universal in many places. It’s common for people to have four or more and they often begin earlier in the term. Finally, the standards for calibration and use seem to have slipped, with the equipment being treated far more cauually. The result: Moms today may be exposing their unborn babies to 10 or more times the total energy of moms at the inception of ultrasound. Therein lies the question of risk. When I discussed this earlier, some people jumped to the conclusion that I think ultrasound causes autism. I’m not saying that. I believe autism in various forms has been with us for a long time, far longer than ultrasound. However, that does not rule out the possibility that some developing fetuses in a vulnerable population may have been influenced by ultrasound energy. Knowing its effects, it’s perfectly reasonable question to ask. I hope we can answer it soon. This concluding paragraph is the most reasonable statement I have read on the issue. Routine ultrasound does not improve medical outcomes, according to research, and they should be used with caution. We may never know what causes autism. We may never now if ultrasounds contribute to the epigenetics behind the disorder. Even though we may never know, the potential risk is there. Reduce pregnancy radiation risk from iPhone, laptops, wifi, etc.